Ten. There’s something special about that number. And it’s even MORE special when something that started in a downtown Fresno art gallery as an experiment to help build the local filmmaking community grows to such epic proportions that we’re celebrating reaching that number of feativals. But here we are, against all odds and still going strong. 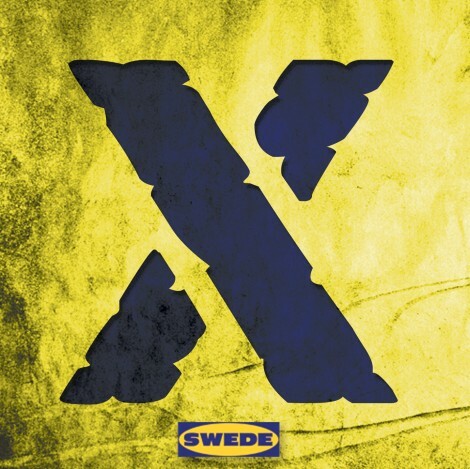 Swede Fest X is on for November 2012 right here in Fresno and we need your entry to help make it extra special! Consider this your invitation to join us in the fun! Swede Fest wouldn’t be as entertaining without your entry and don’t you want the opportunity to see your film with your friends & family on the big screen? Of course you do! The deadline for entries is Monday, November 5th at 11:59 pm. Because of time constraints, we will again only be accepting the first 20 entries, so get started on your film and get it to us ASAP! As usual, the time limit for entries is 4 minutes, it must be suitable for all ages and contain no content that violates any laws. Film enthusiasts of all ages are encouraged to swede their favorite films and it is free to submit. If you have any further questions or if you have a film you want to enter, please email us at info@swedefest.com and we will guide you on how to get us your film. This is just the tip of the iceberg! Be sure to check out all the previous entries to help the creative spark and we’ll be back soon with more details regarding the event. We will be announcing the set date for the event as well as more info on the venue in the near future so keep it tuned right here and DumbDrum.com for all the deets. And this being our TENTH Swede Fest, you know we’ll be doing some extra special stuff. So please spread the word and be a part of the global Swede Fest movement, all of which started right here in Fresno back in 2008. We can’t wait to see your entry!